Michelangelo Merisi da Caravaggio. 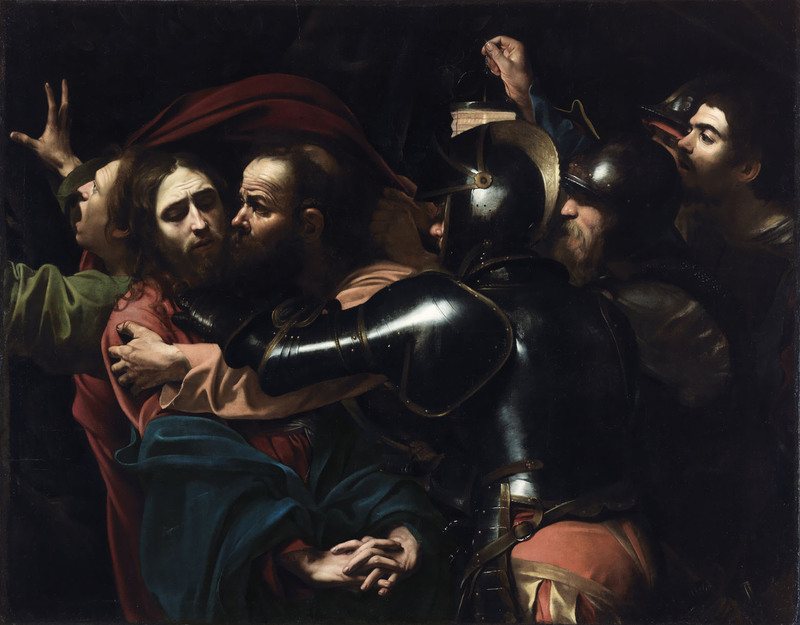 The Taking of Christ, 1602. ← Billy Childish. Man leaning on Boom(Oyster Catchers, Thames Estuary 1932. 2012.